Your community center needs your help. Yes, you. 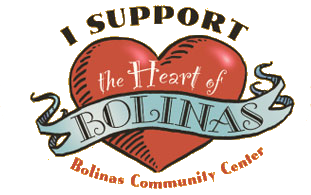 If you simply wish to donate, you may donate to our general fund, or you can designate specific BCC projects and community events (community kitchen project, sound & lighting upgrade, village & beach cleanup, Mardi Gras, Winter Faire, etc.) If you choose to use PayPal and want to support a specific program, simply note the program in the ‘Additional Instructions’ window in PayPal, prior to finalizing the transaction. Donations made without designating specific programs will be applied to the general operating fund (if you are choosing a membership, be sure to specify the membership level and include your mailing address.) If you goof up, don’t worry–just give us a call at 415-868-2128 and we’ll fix it in a jiffy.